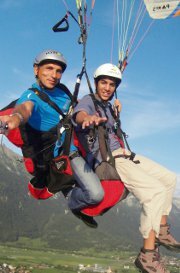 Paragliding Lucerne. 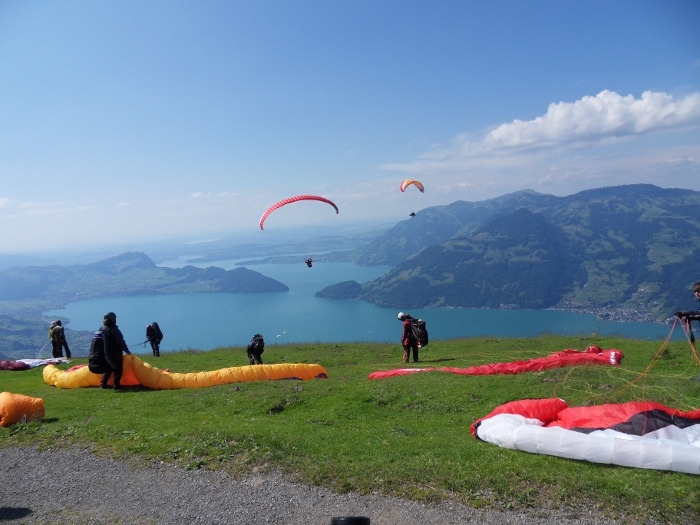 Tandem-Flights around lake Lucerne. 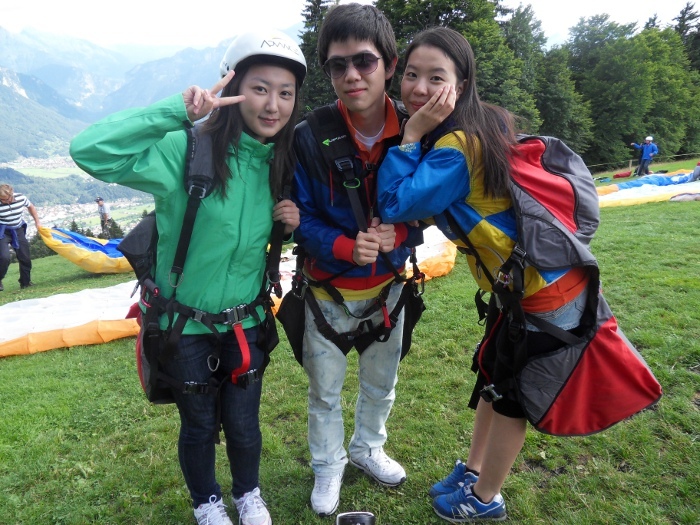 Experience the best adventure activity. To fly like a bird, silently gliding and rising with the thermal. 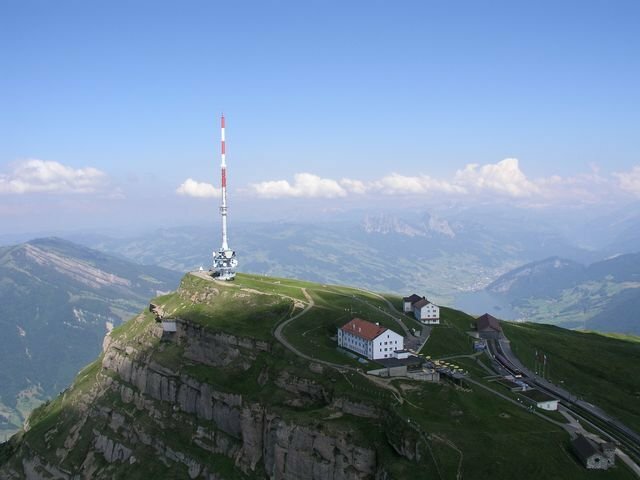 To see the Swiss Alps world with another perspective. 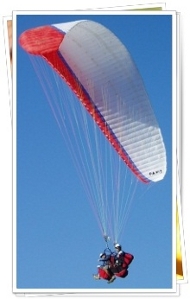 One of mans oldest dreams can be fulfilled without prior experience or training, through a paragliding tandemflight. This will be an unforgettable thrill that you will remember for a long time. Make your dream into a reality. 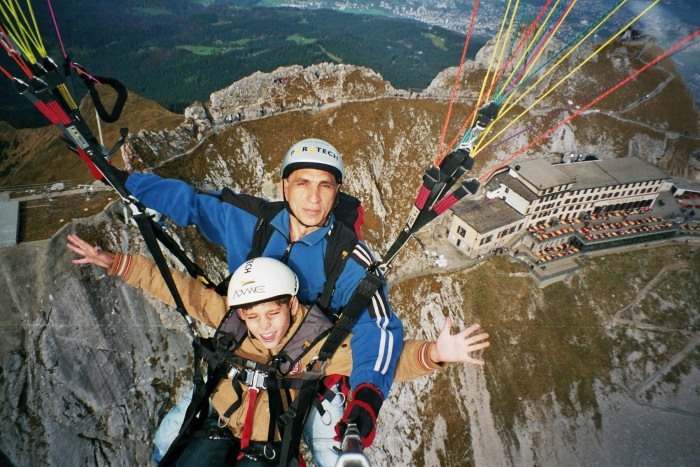 Paragliding Lucerne was founded at the pleasure of flying to pieces. Only if the pilot has joy of flying, will also be thrilled passenger. 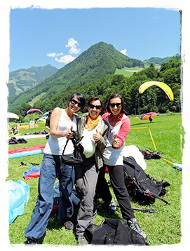 Paragliding tandem flights is a matter of trust. Is important to us that they have confidence in our security and reliability. To ensure maximum security, we use the most modern air material and are tested regularly and maintained. 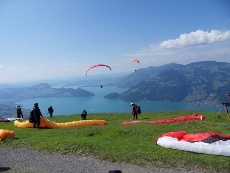 Paragliding at Lucerne will fly exclusively with professionals. Our team consists of professional pilots who are linked full time with the glider flying. All tandem pilots have the necessary training and continuing education by the Federal Office of Civil Aviation (FOCA) of Switzerland. Take-Off, The Flight, The Landing. 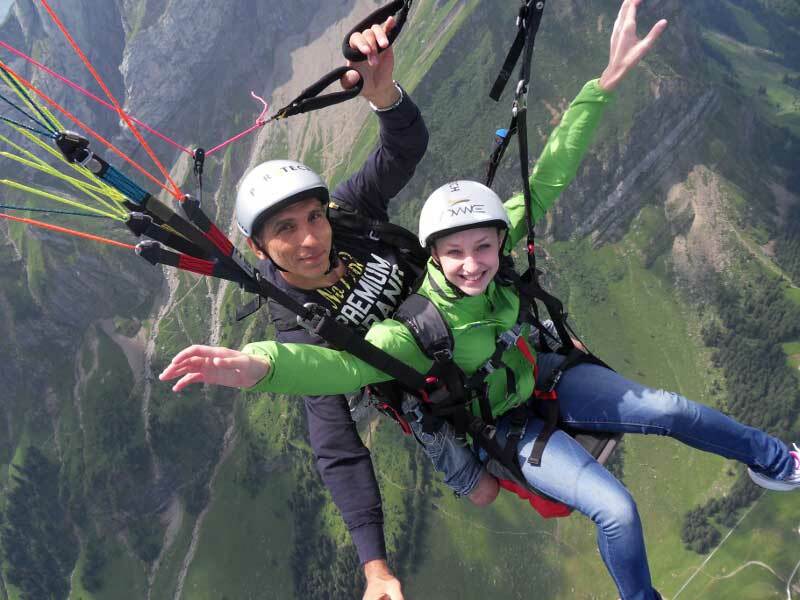 After reaching the starting place on the mountain, your Tandem Pilot will prepare for you the special double seated paraglider. Your harness and helmet will be properly fitted and the take off and landing will be explained. 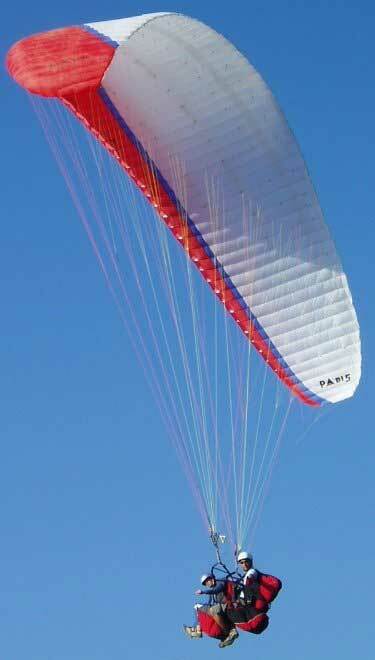 After a short test run, you and your pilot will be attached together to the paraglider. After a final safety check you are ready to fly. 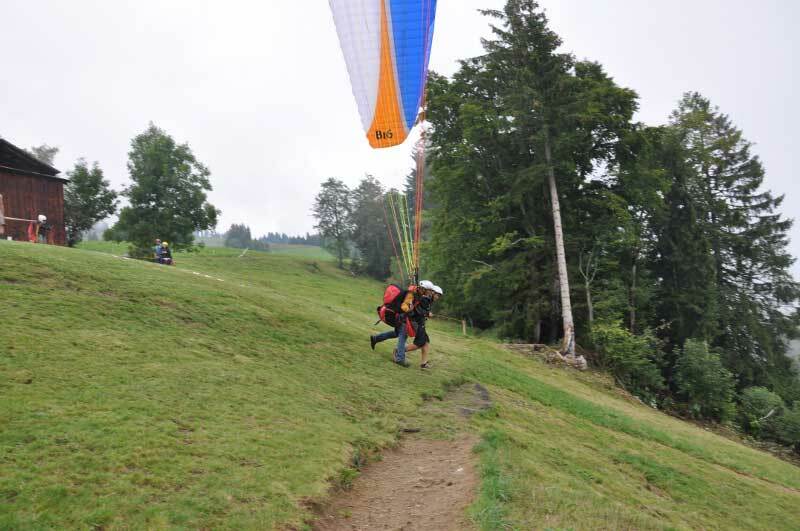 When the wind conditions are right, the pilot will lift the paraglider up from the ground and after a few steps you will gently be lifted into the air and off the mountain. The Dream of flying now begins. 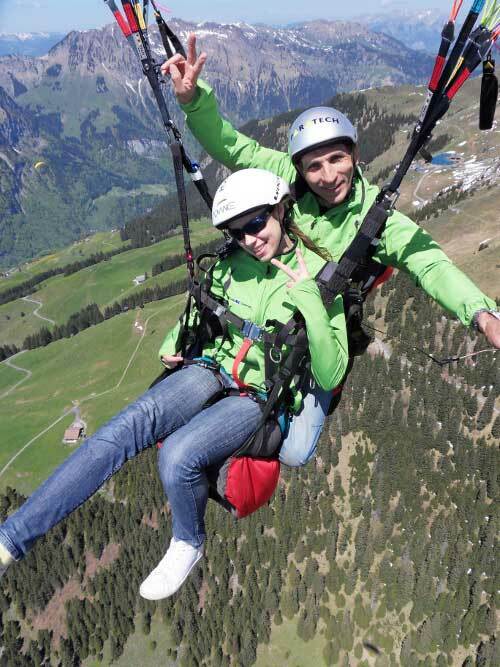 Comfortably you are seated in the harness and experience the indescribable freedom of flight. We will be using thermals to gain elevation and it is not a rarity to be accompanied by an eagle using the same thermal. With every meter we rise the view will be evermore incredible. As the world below becomes smaller, your every day problems disappear and your mind is set free like a bird set free from its cage. After a wonderful flight we prepare for landing. 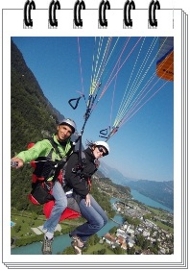 We need to take the proper positioning in the harness and the pilot will steer the paraglider to a gentle landing. As we touch ground softly you will be overjoyed that your dream of flying has come true. 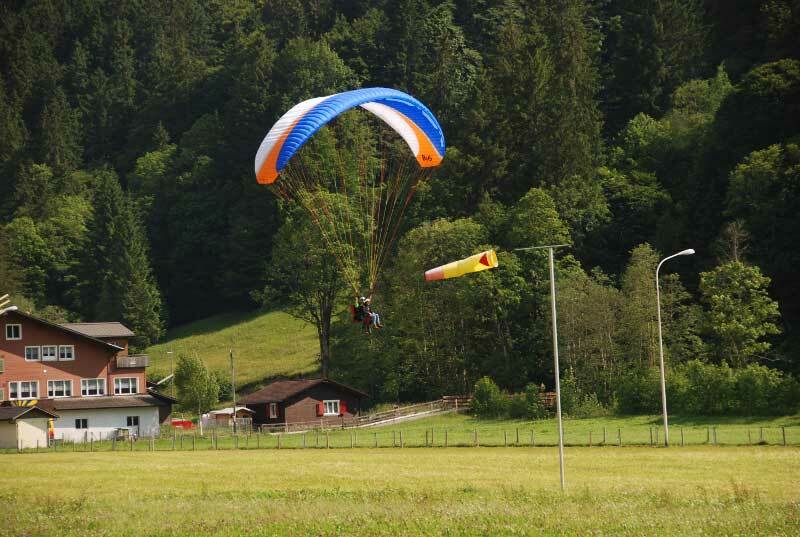 As a passenger you need not have knowledge of paragliding. You do need good shoes (running shoes are good, please no sandals) and appropriate clothing (long pants and a wind jacket or pullover).Passengers must weight between 20 - 100 Kg. Persons over this weight may fly after clearance with us. We fly all year round.